Everyone has their own preference when it comes to souvenirs and gifts to commemorate trips away from home. Some religiously dart to the first touristy magnet shop they see for that perfect addition to their fridge whilst others would rather hunt for something more suited to the receiver from a local market or a speciality shop. 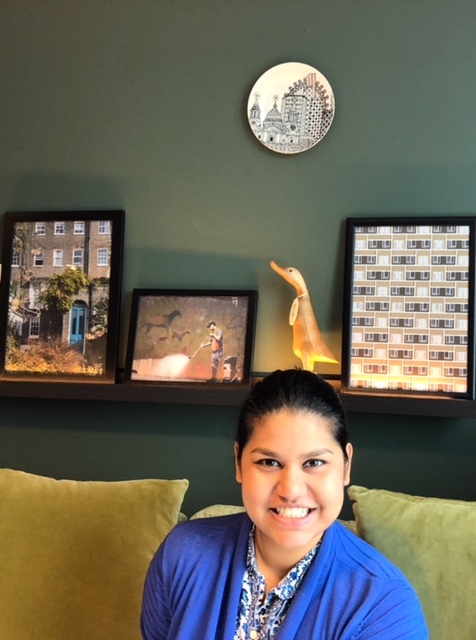 One thing is certain, there's a limitless choice of things that can inspire you when buying a London momento and no matter what your budget, interests or style, you will certainly find something in this treasure-trove of a city. Portobello Road market is definitely one of our favourite London markets, set in famous Notting Hill with its fashionable boutiques, home-grown designer creations, quirky antique stores, eye-catching vintage finds, fresh food stalls, eclectic burger joints and celebrities. Don't miss the unique handmade stall section towards Ladbroke Grove. Spitalfields is another fantastic market to explore, set in the trendy East London district of Shoreditch, with a variety of established urban designers, emerging artists, international food stalls, retro artifacts and other curiosities. You could pick up anything from a military coat, handmade stationery or some a vintage poster. 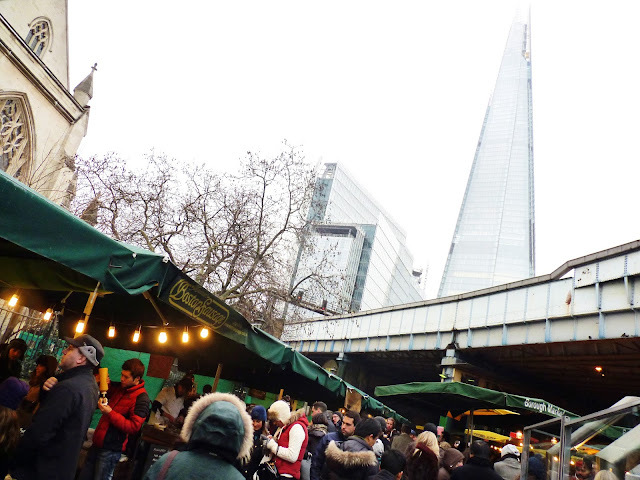 This is one of London's main foodie destinations. There's so many interesting things here to tickle to tastebuds including delicious street food from around the world, speciality cured meats, artisan condiments, local cheese and bakery items and even famous port pies and spit roast. Liberty is one of London's most eclectic department stores and the place to find something really special for someone who appreciates art and design. But it is no ordinary department store. What started off as an exotic Eastern Bazaar in the 1875, transformed into a magnificent mock-Tudor building constructed from the timbers of two ships selling some of the finest and most exclusive fashion, home furnishings, fabrics and stationery in the world. It's prints and patterns are infamous and you can't go wrong with a stylish shirt or tie for a gent, a silk scarf or bag for a lady or some elegant leather stationery in one of its signature Ianthe designs. This beautiful store is positioned just across from Piccadilly Circus, where they have stood for 300 years, and is a real treat for all sorts of gourmands. Its iconic mint packaging, hamper baskets and afternoon tea is popular with locals as well as tourists and you can choose from fine wines, chocolates, tea and a variety of accessories for the perfect gift. Museum shops may not be the first place you think of when it comes to a souvenir, but don't miss any opportunity to browse through the carefully curated selection of homeware, jewellery, textiles, books, accessories, limited edition prints and artwork and other interesting creations all inspired by the collections at the V&A museum. It is THE museum for art, design and fashion. With exhibitions focused around the city of London, the Museum of London shop is an excellent place to find London-centric memorabilia, books, gifts, jewellery, stationery and toys. Maybe a Jam trio Post Box or a poster of Londoners in a bygone era or black taxi washbag, there are so many things here to inspire you. This quintessentially British brand stands for exquisite craftsmanship winning them numerous Royal Warrants and a reputation for excellence for the stationery and leather goods they offer. Spend a moment appreciating the various collections of notecards, diaries, travel accessories, handbags and jewellery cases, and remember you can make any purchase an extra special gift by adding a touch of personalisation to it. 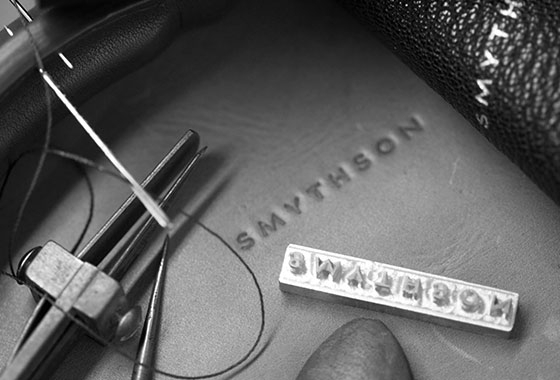 Their Bond Street boutique also features an exhibition space where they display their traditional craftsmanship techniques, celebrity-owned Smythson products and other items that demonstrate their rich history and innovation. 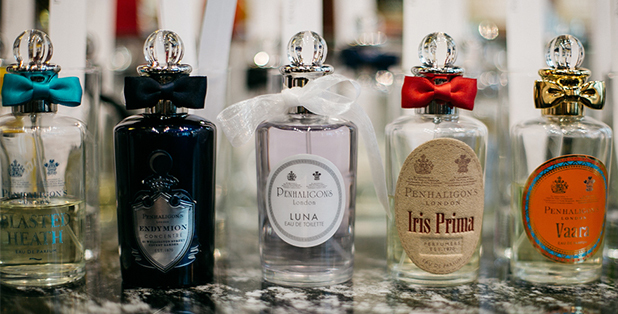 Another Royal-Warrant holder, Penhaligons was founded in London in the late 1860s and is today an iconic British perfumery brands, offering a broad range of gift ideas from fragrances, candles, bath and body and men's grooming products. Their eccentric, modern collections would make an excellent gift for any Anglophile. Blenheim Bouquet, worn by Winston Churchill and Bluebell, worn by Kate Moss and the late Princess Diana, are some of their best sellers. If you are looking for something really different, why not try this unique creative biscuit brand. 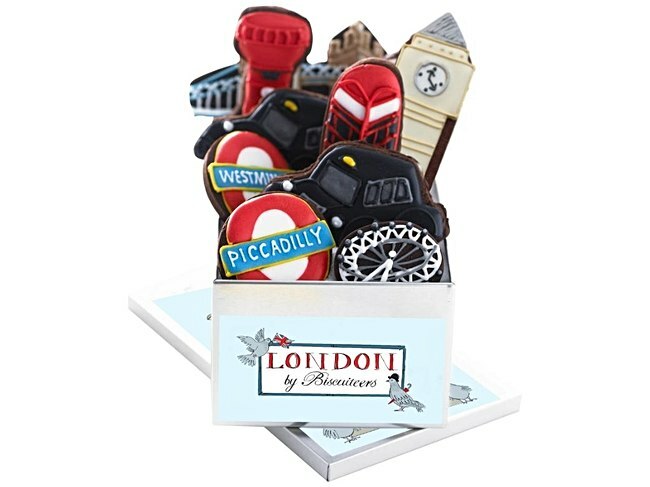 They do some marvellous icing creations and even a "London" themed collection that would certainly go down very well at tea time. Daunt is one of London's most loved independent book stores with its elegant wood panelled interiors, cozy reading corners and vast collections of travel and literary books. You'll see their canvas tote bags around the city and if you do get a chance head to their Marylebone store, which is their original Edwardian premises. 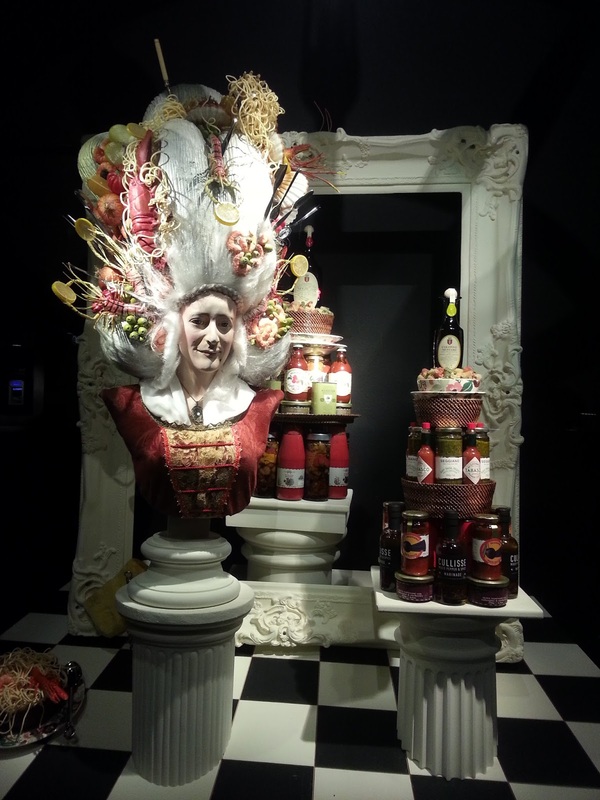 The London Rococo Chocolate shop has been making its award-winning handmade luxury chocs since 1983. Sold across luxury department stores across the UK, this is a great place to search for something more unique and "handmade-in-London" that the generic duty-free chocolates, one may resort to buying at the last minute.